To celebrate its 350th anniversary, the Royal Society launched ‘Trailblazing’, today, a new interactive timeline which provides unprecedented online access to original manuscripts published by the Royal Society over the past 350 years. The website features 60 articles selected from an archive of more than 60,000 published by the Royal Society between 1665 and 2010. Read the press release. In Prince Rupert and the Surgeons Graham Martin reconstructs the details of Prince Rupert's successful brain operation in 1667 and argues that the methods used by the surgeons of the time were vindicated. For further information on the history of science, visit our History of Science focus page. Marie-Antoinette never said ‘let them eat cake’. 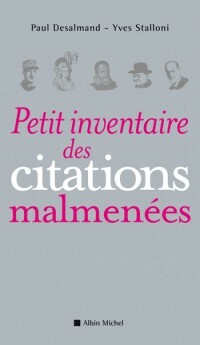 This misattributed quotation is just one amongst many that are listed in Petit Inventaire des Citations Malmenées, recently published by Albin Michel. Charles Bremner comments on his Paris blog. The Swiss historian is notably remembered for his study of Switzerland’s wartime past and relationship with Nazi Germany. His obituary is published in The Times. Some 4,000 village pubs have disappeared since 1980 according to the British Beer and Pub Association (BPBA). The American author Bill Bryson was appointed president of the Campaign to Protect Rural England (CPRE) in 2007. Following a recent survey, he launched a new appeal to save some of England’s icons, such as post boxes and post offices, village pubs and independent local shops. Stephen Adams reports in The Telegraph.